We’re delighted to be welcoming Jen Cloher back – this time, for an intimate solo show at St Michael’s. 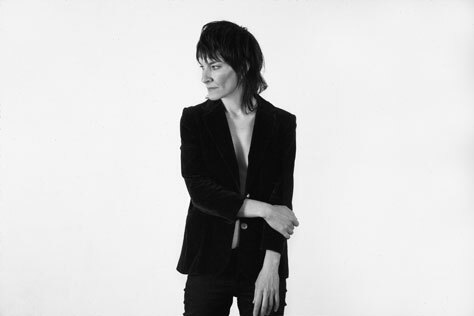 Almost a year after the release of her extraordinary self-titled fourth album, Jen Cloher has now delivered multiple surprises in the form of a gorgeous acoustic EP, the announcement of her first ever solo European shows and a set of brilliantly shot intimate live band performance videos. Cloher has also announced that she will bring her solo oeuvre on the road, performing alone in intimate settings across the UK and Europe. In solo-mode Cloher is a master storyteller and a performer in the tradition of indie-folk’s greats, if her acclaimed shows supporting Courtney Barnett and Kurt Vile throughout the USA last year are anything to go by, audiences are in for a treat. Lastly, Cloher has dropped a surprise package of three videos filmed late last year at Milk! Records’ Melbourne warehouse – the intimate performances capture a rare camaraderie and bond between band members who had just finished a year of extensive global touring to sold out audiences. The videos are available at jen-cloher.lnk.to/AM-Live. Tour support comes from fellow Milk! Records artists The Finks, who will also be performing solo. The Finks play the songs of Oliver Mestitz. They are sincere but flippant, intimate but aloof, thoughtful but careless. Oliver records everything in his Melbourne home, mostly alone, layering instrument upon instrument and mixing each song straight to tape. Rolly Nice, their third full length release through Milk! Records, is a patient, wilful and poignantly imperfect album. This will be one of the first public concerts in St Michael’s since its recent re-opening, having been closed since 2004. The Roman Catholic church was founded in 1859 and became the heart of the Little Italy Community in Ancoats. AGE RESTRICTION: This show is 14+. Under 16s must be accompanied by an adult.